A Delhi High Court Bench comprising of Chief Justice G. Rohini and Justice R.S. Endlaw on Wednesday rapped the Delhi University for their “step motherly” treatment towards the Faculty of Law, in view of the lack infrastructure and faculty recently pointed out by the BCI panel. The Bench expressed anguish over the University having a negative attitude towards CLC. “Most of those in the court room, and many judges, have graduated from the Law Faculty. Can we allow the Law Faculty to be shut down?” the Bench questioned after Senior Advocate Siddharth Luthra, who is representing Law Faculty student Tarun Narang in the PIL, pointed out that the current infrastructure of the Faculty violated the BCI Legal Education Rules. The University has hence been asked by the Court to adhere to the BCI’s Legal Education norms and to file a detailed reply by next week in the case. The case will be heard by the Bench that is already hearing a PIL filed by former Law Faculty dean S.N. Singh regarding lack of proper facilities at CLC. 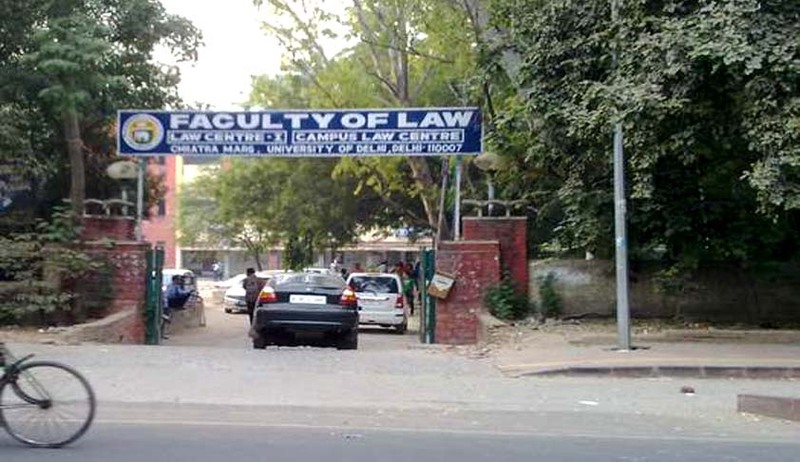 The Bar Council of India in its inspection report of the three Law centres in the Delhi University has recommended the closure of the three centres, in view of the unsatisfactory infrastructure and faculty. The report stated, ““The committee felt anguished at the attitude of the successive deans of the Faculty of Law, who it appears had not been updating the Central office of the University of Delhi and the UGC for over four decades, which has resulted not only in the present state of affairs and but also in poor infrastructure and deteriorating standard on the academic side.” Read the LiveLaw story here.